Schloss Elmau Luxury Spa &amp; Cultural Hideaway is nestled in an idyllic high valley in the Bavarian Alps, at the foot of the snow-capped Wetterstein Mountains. This 5-star superior hotel is a luxurious retreat, as well as a centre of culture and an official meeting place. In 2015 the Heads of State will be meeting here for the international G7 Summit, surrounded by an alpine panorama. 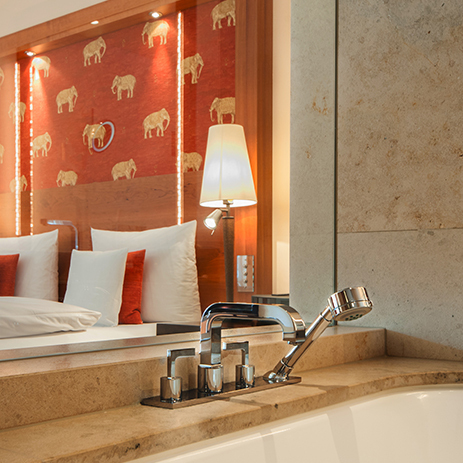 Schloss Elmau offers a perfect blend of nature, architecture and top-quality furnishings. 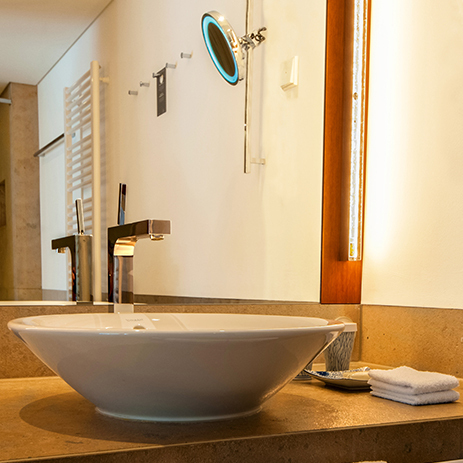 So the fact that the bathrooms feature the timeless, classic Axor Citterio bathroom collection, whose understated luxury fits in perfectly with the upscale ambience of Schloss Elmau, comes as no surprise. In the rooms, suites and apartments, Axor Citterio bathroom mixers perfectly complement the elegant aesthetics. The clean lines and precise surfaces of the basin mixers are ideal companions for the high-quality Jura marble surfaces. Axor Citterio celebrates the opulence of water and, just like the Schloss Hotel, sets the highest standards in hospitality. Schloss Elmau and the designer brand Axor are also on the same page when it comes to exclusivity. 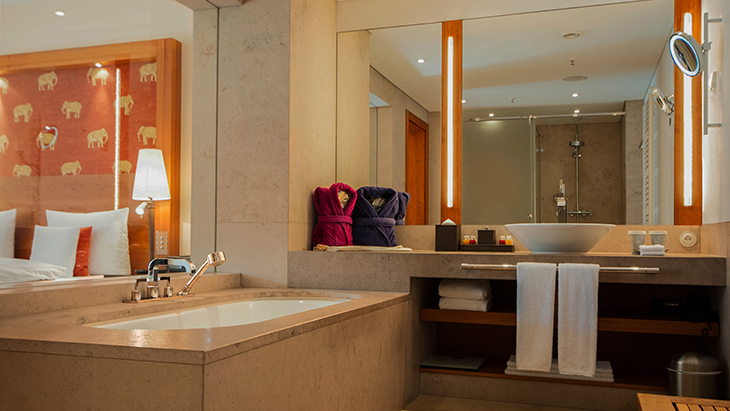 The luxury hotel offers personalised showering indulgence, most notably thanks to the Axor Citterio Showerpipe, which features a thermostat, overhead and hand shower. 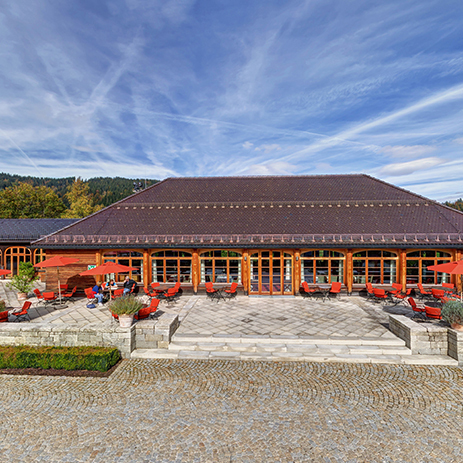 Schloss Elmau Luxury Spa &amp; Cultural Hideaway is famous for its range of spa treatments and culinary delights. Inside the listed building, guests can enjoy a harmonious blend of natural stone, wood and delicate soft furnishings. 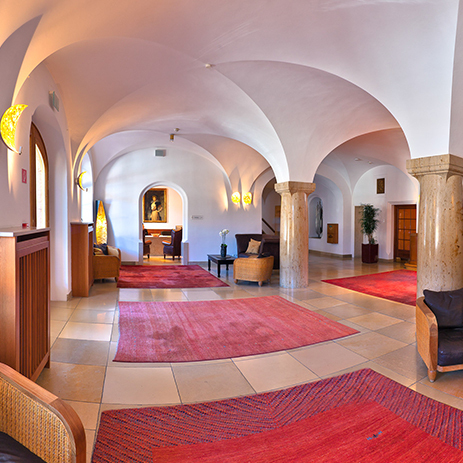 A major attraction is the Schloss Elmau concert hall, where concerts and symposia are held. This is completely in line with the tradition of the building, which was constructed between 1914-16 as a cultural hideaway. In 2015 the modernised Schloss Hotel was expanded to include another 5-star hotel on the same plot of land: Schloss Elmau Retreat.